You can also learn more about Eye Movement Biometrics on our [web page]. 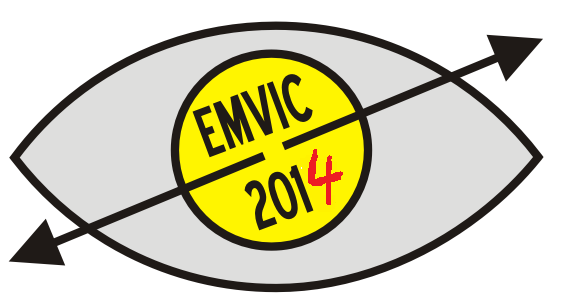 We would like to thank our official partner SensoMotoric Instruments who will award an SMI RED-m eye tracker to the winner of the EMVIC competition and for each of the two runners up a 250 Euro travel grant to the IEEE International Joint Conference on Biometrics (IJCB 2014) in September 2014 in Florida, USA. The aim of the contest is to determine how people may be identified based on their eye movement characteristic. The organizers provide a dataset of eye movements' recordings in CSV (comma separated values) format. After downloading the datasets, participants may analyze it to prepare their own classification models. See competition formula for details. To become a participant you don't need to have any special eye tracking equipment. All data needed is ready to download! You only need to have some experience in data classification and... take your chance. However, it is sometimes good to see what others have done in this field. On this page you may find some information about biometric identification and about eye movements in biometrics.